Heart attack and stroke are the major causes of human death and atherosclerotic plaques are the most common effect of cardiovascular disease. 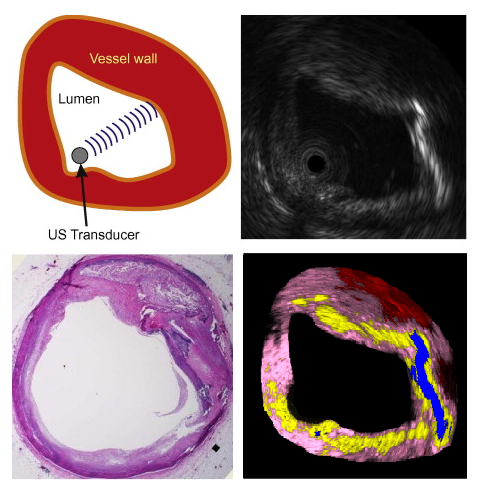 Intravascular ultrasound (IVUS), a diagnostic imaging technique, offers a unique view of the morphology of the arterial plaque and displays the morphological and histological properties of a cross-section of the vessel. Limitations of the grayscale IVUS manual plaque assessment have led to the development of quantitative techniques for analysis of characteristics of plaque components. 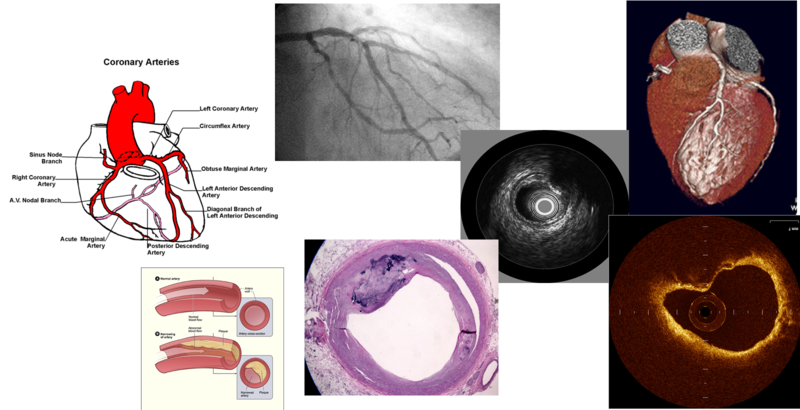 In vivo plaque characterization with the so called Virtual Histology (VH)-IVUS, which is based on the ultrasound RF signal processing, is widely available for atherosclerosis plaque characterization in IVUS images. However, it suffers from a poor longitudinal resolution due to the ECG-gated acquisition. The focus of this PhD? 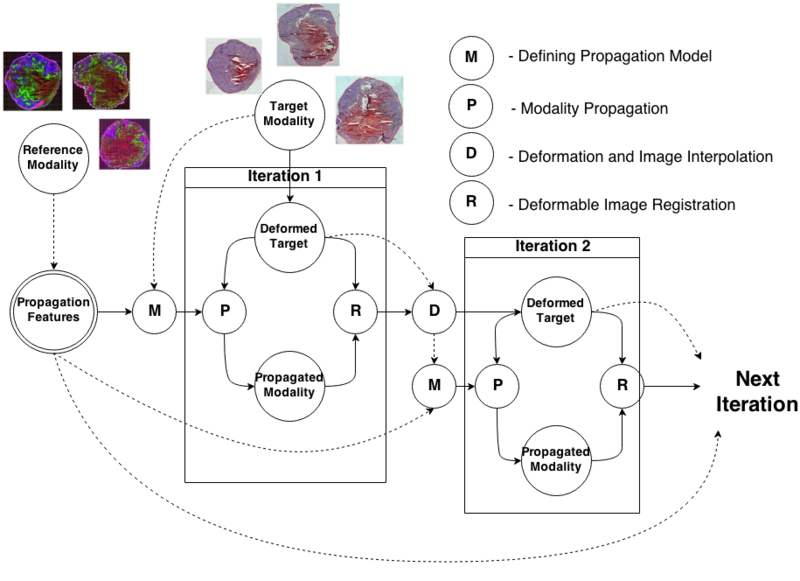 work is to provide effective methods for image-based vessel plaque characterization via IVUS image analysis to overcome the limitations of current techniques. 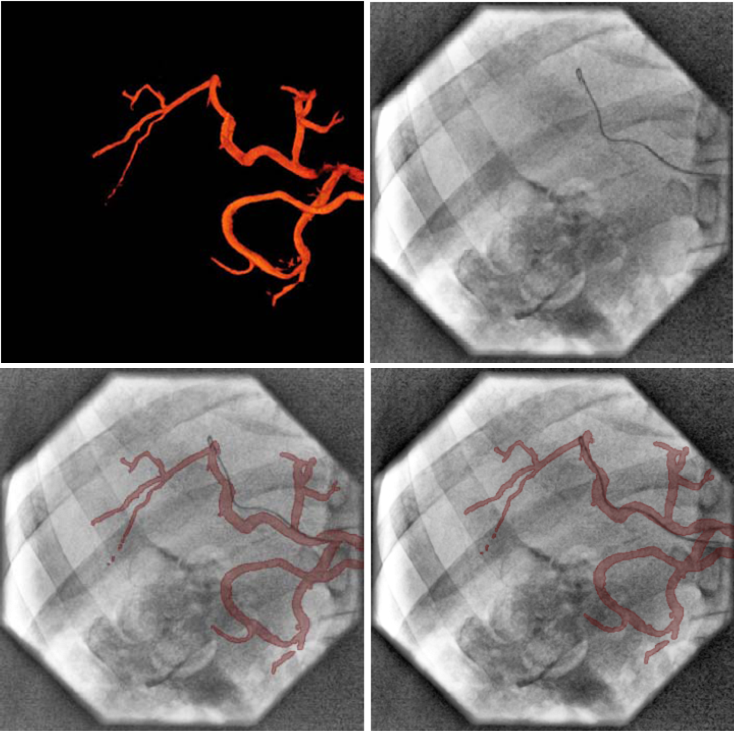 The proposed algorithms are also applicable to the large amount of the IVUS image sequences obtained from patients in the past, where there is no access to the corresponding radio frequency(RF) data. Since the proposed method is applicable to all IVUS frames of the heart cycle, therefore it outperforms the longitudinal resolution of the so called VH method. Traffic light detection from a moving vehicle is an important technology both for new safety driver assistance functions as well as for autonomous driving in the city. 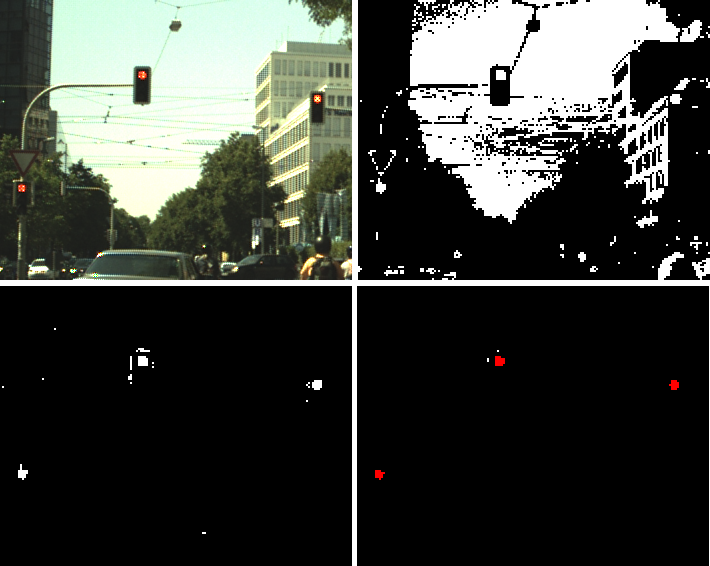 In this paper we present a machine learning framework for detection of traffic lights that can handle in real-time both day and night situations in a unified manner. 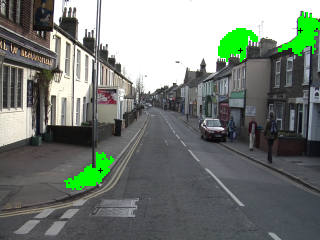 A semantic segmentation method is employed to generate traffic light candidates, which are then confirmed and classified by a geometric and color features based classifier. Temporal consistency is enforced by using a tracking by detection method. We evaluate our method on a publicly available dataset recorded at daytime in order to compare to existing methods and we show similar performance. We also present an evaluation on two additional datasets containing more than 50 intersections with multiple traffic lights recorded both at day and during nighttime and we show that our method performs consistently in those situations. 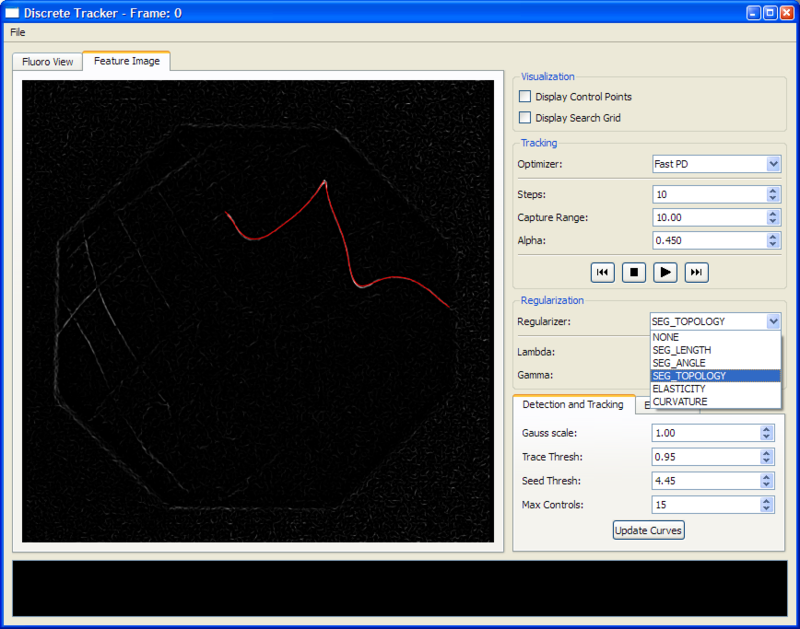 High precision ground truth data is a very important factor for the development and evaluation of computer vision algorithms and especially for advanced driver assistance systems. 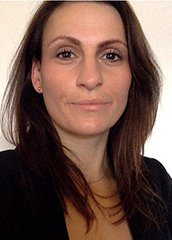 Unfortunately, some types of data, like accurate optical flow and depth as well as pixel-wise semantic annotations are very difficult to obtain. 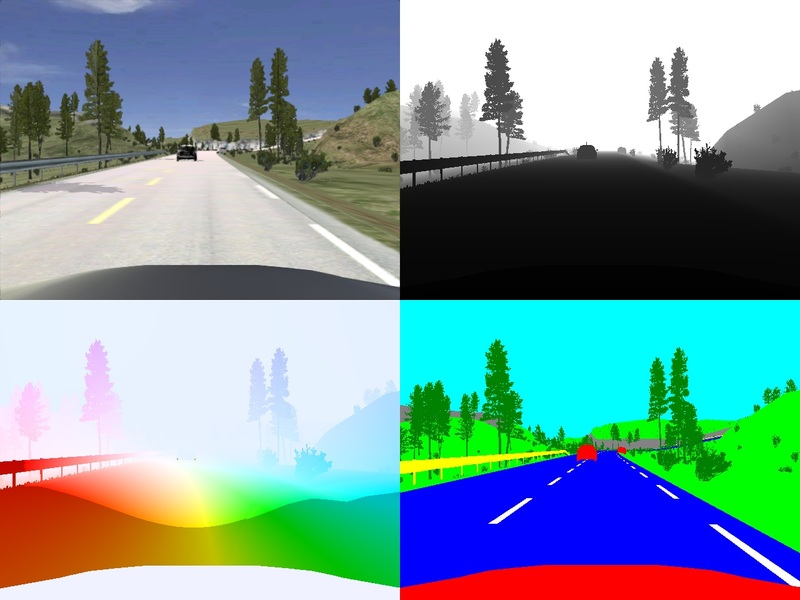 In order to address this problem, in this paper we present a new framework for the generation of high quality synthetic camera images, depth and optical flow maps and pixel-wise semantic annotations. 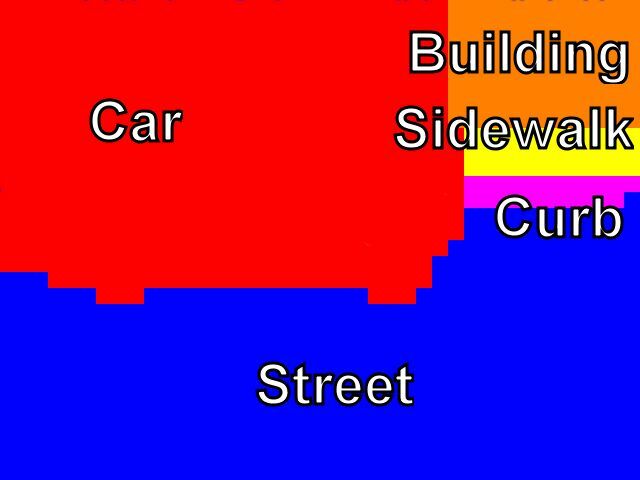 The framework is based on a realistic driving simulator called VDrift , which allows us to create traffic scenarios very similar to those in real life. We show how we can use the proposed framework to generate an extensive dataset for the task of multi-class image segmentation. We use the dataset to train a pairwise CRF model and to analyze the effects of using various combinations of features in different image modalities. Development and refinement of a software system for semi-automatic segmentation of the patellar cartilage is the main goal of this project. 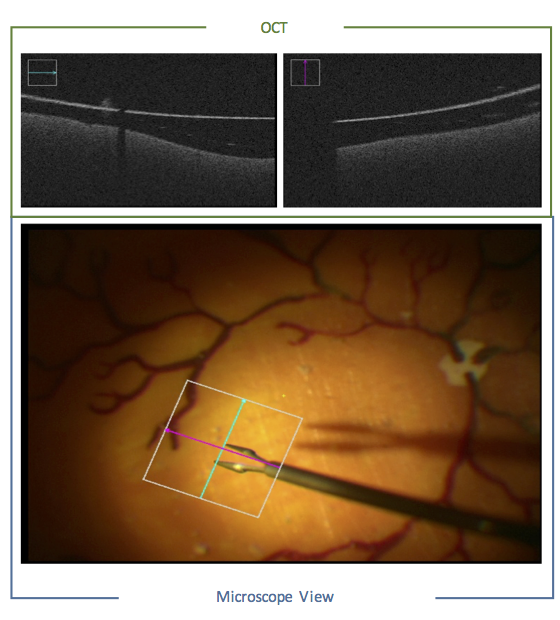 By providing tools for sub-pixel accurate edge tracing, automatic contour completion, and adequate visualization, a remarkable speed-up of the physicians segmentation process can be achieved. Also, improved exactness can be reached for cartilage segmentation if expertise and automation are merged in a meaningful way. 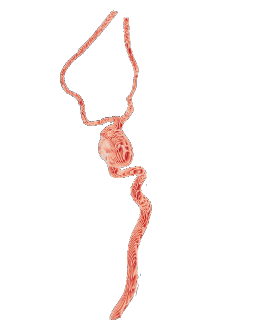 An abdominal aortic aneurysm (AAA) describes an enlarged aortic diameter in the abdominal part of the body. Due to weakening rupture of the inner aortic wall layer, blood cells accumulate inside the wall layers and lead to a thrombus. In order to choose a suitable individual treatment, a prediction of rupture risk would be helpful. However, it is not possible to predict the ruputure risk only with quantative parameters extracted out of CT-images such as size and diameter. It is important to also include qualitative predictors like characteristics of the aortic wall and fluid dynamics. 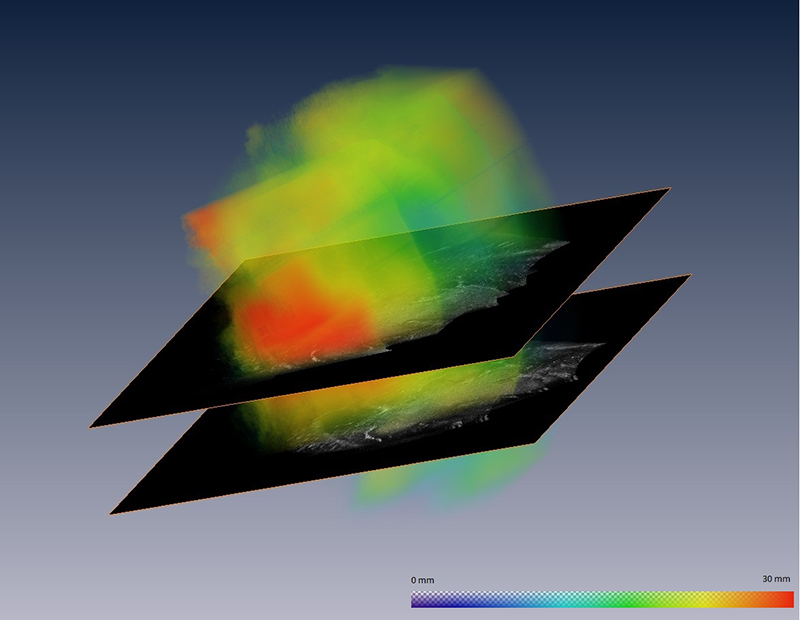 Together with our medical and academic partners, we are interested in creating a model of the aorta and its thrombus in order to do certain calculations on wall stress and fluid dynamic computations. 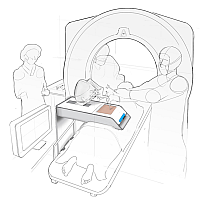 A further integration of other medical imaging devices such as PET/CT and IVUS into the geometrical model can provide more information about biochemical activities inside the aneurysmatic walls. Objects change their form over time. Undoing these changes makes the two images of the same object more comparable. This process of finding a transformation of one of the images, such that it gets as similar as possible to the other one is called deformable registration. 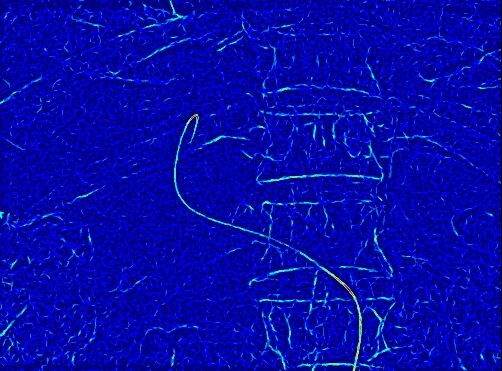 Deformable registration can lead to improvement of many medical procedures, both diagnostic and interventional. 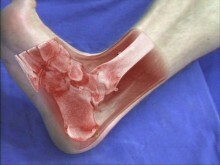 The main reason is that deformations of the human body are present in many settings and for many imaging techniques. 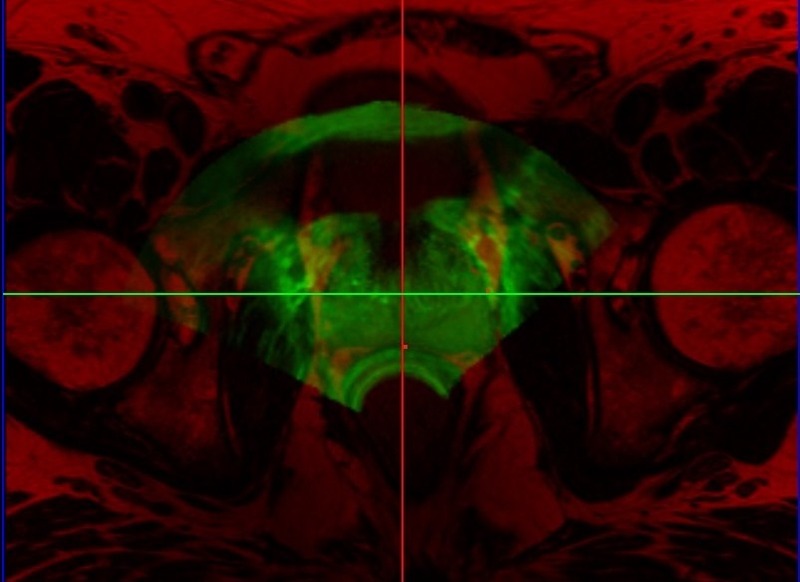 Always, when these deformations occur between different scans, there is potential for the current methods to be improved by using deformable registration techniques. 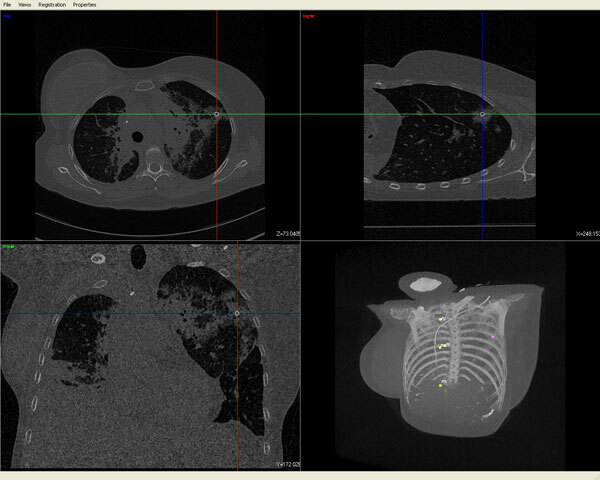 Example applications include follow-up studies, image fusion from different modalities and treatment planning. 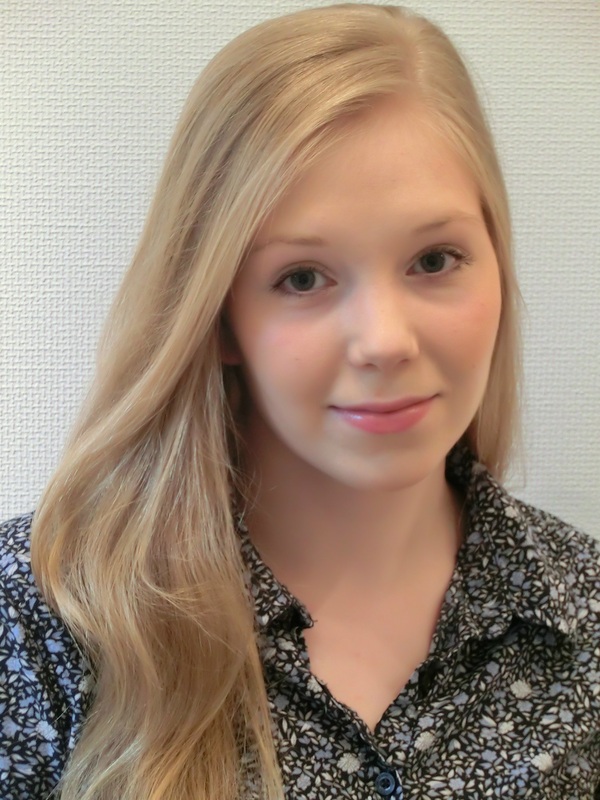 The focus of our work is two-fold: we try to understand and improve the existing registration methods and to solve clinical problems by applying the developed methods.